LIVE HD Streaming Web Cam of Clearwater Beach. Live Clearwater Beach Webcam from the 5th floor of Surfside Condos! 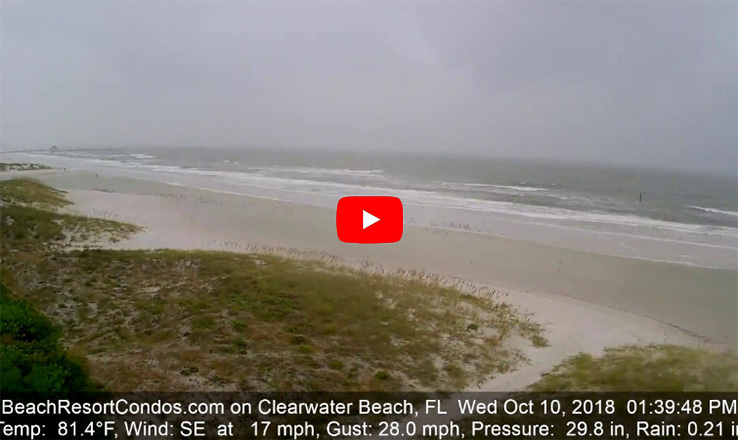 Check out this time-lapse video from Surfside Condos on Clearwater Beach as Hurricane Michael passes by about 200 miles away on October 10, 2018. 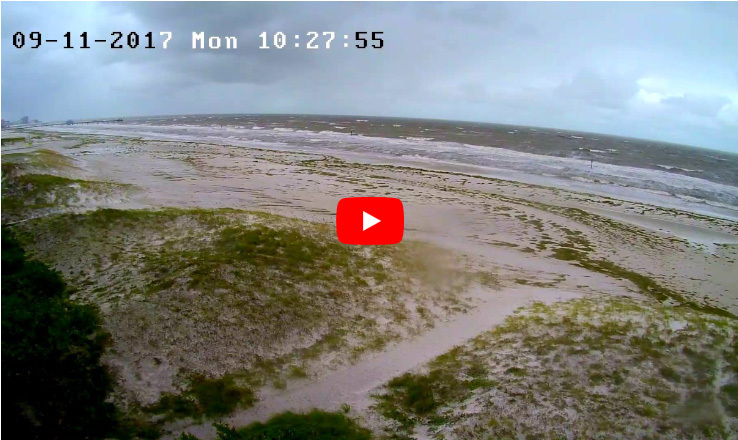 This time lapse video was recorded on May 28, 2018 as Subtropical Storm Alberto was passing by in the Gulf of Mexico. 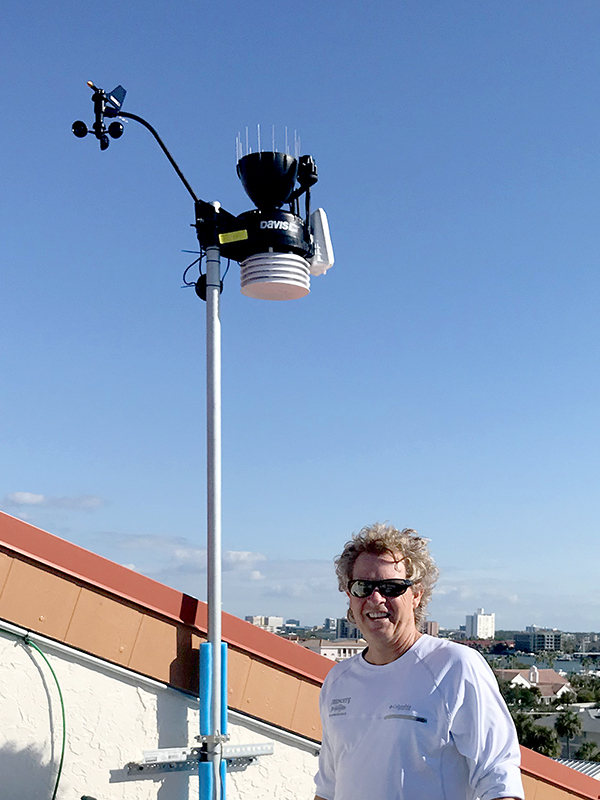 The weather station on top of Surfside Condos had a peak wind gust of 46 mph on May 27th. Easter Sunday on Clearwater Beach is very popular day for locals and our visitors. This year we had absolutely beautiful weather and it was a gorgeous Florida beach day! Watch this HD time-lapse video taken from Surfside Condos on Clearwater Beach. This is a March 18th time lapse video taken from Surfside Condos on Clearwater Beach during Spring Break 2018. You can watch and enjoy the beach activity from 9:30 am until the sunset at 8:00 pm. 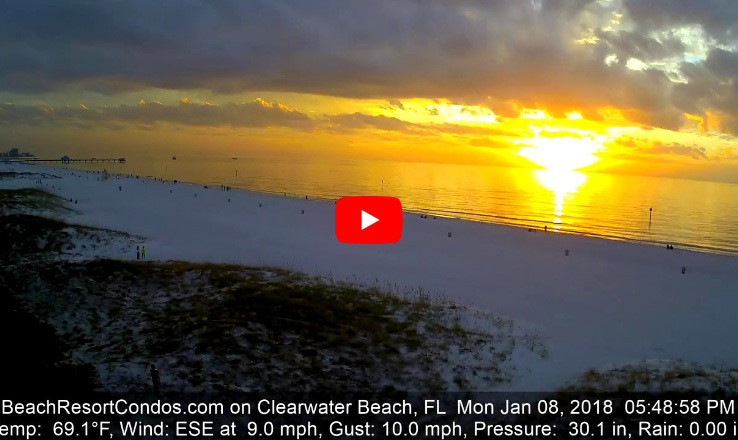 You have to watch this sunset time lapse on Clearwater Beach! 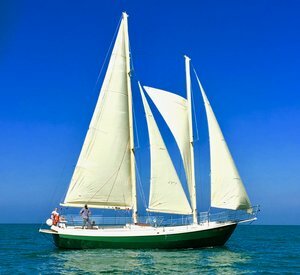 Notice how smooth the Gulf of Mexico is. This is after several days of rough surf and cold temperatures. Today it warmed to the low 70s and the water was smooth as glass to make for a very nice end of the day on the beach. Warmer than average temperatures on Clearwater Beach this week have made for absolutely amazing beach days. It is fun to watch the clouds in this time-lapse video from our Live Beach Cam. 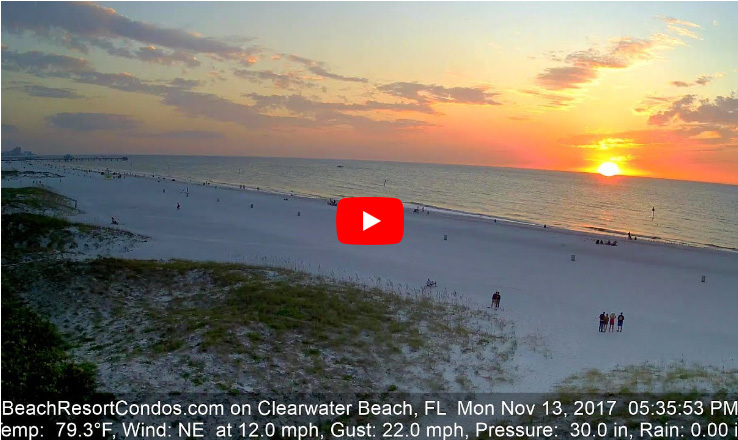 This Clearwater Beach time lapse from Surfside Condos is from noon until sunset finishes. Visit BeachResortCondos.com for information on booking a vacation condo for a week on the beach! It was a beautiful day on Clearwater Beach on November 1st, 2017 with temperatures near 80 degrees and a light breeze. 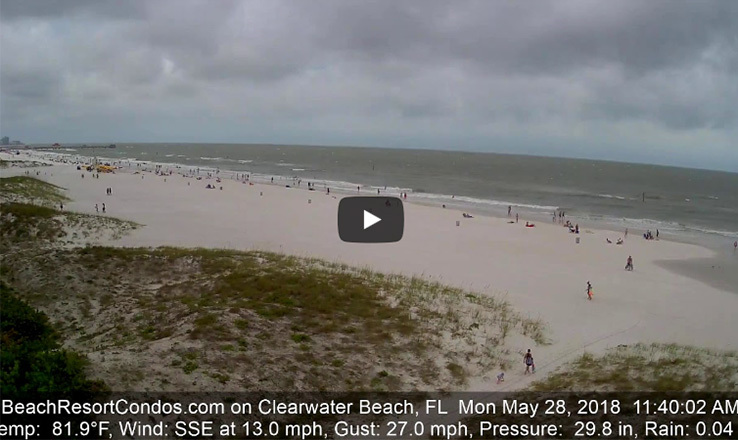 Check out this 12 hour time lapse video to watch the activities on the beach. This was how Clearwater Beach looked on the morning of September 11, 2017 from Surfside Condos. The strongest part of Hurricane Irma came through this area in the very early morning hours of the 11th when it was still dark. 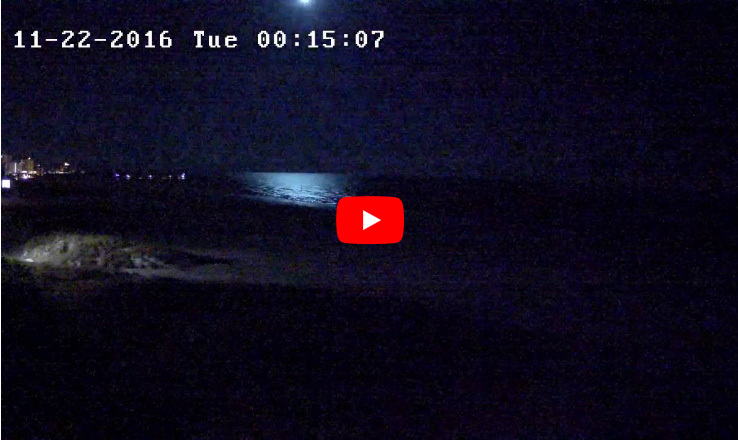 The power was already out by the time this video was captured, but the beach cam continued to record until the backup battery drained.